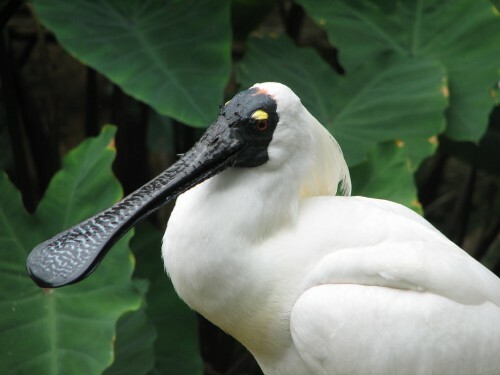 Spoonbills would have to be one of my favourite of all of the wonderful birds we have here in Australia. 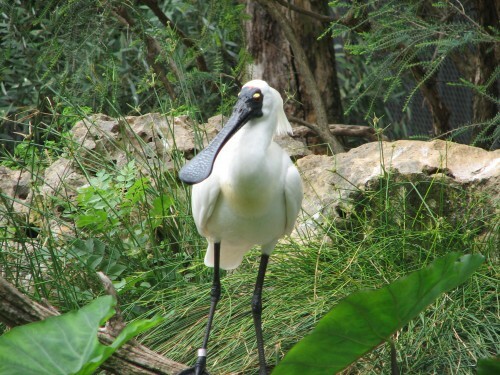 It was another species, the Yellow-billed Spoonbill that was , in part, responsible for me becoming a birder. I was fascinated to see one feeding in the rock pools of Chambers Gorge in the Flinders Ranges. This was in the mid 1970s. Because it is in the harsh, arid far north of South Australia, this gorge only has water intermittently. I didn’t have a far to travel to see the bird shown in today’s photo, a Royal Spoonbill. It was taken in one of the walk through aviaries in the Adelaide Zoo, a mere hour’s drive from my home.